We remain optimistic of GSS Energy’s prospects, and expect both twin drivers to contribute positively to the business in FY19F. We believe the group is close to securing an off-taker for its gas, and the tech correction in 4Q18 across the board, especially on small-mid cap manufacturers like GSS Energy, represents a good opportunity to accumulate at these levels. The depreciating IDR is also positive for it as the main factory is located in Batam, Indonesia, while revenue is largely USD-denominated. Maintain BUY with SGD0.19 Target Price, 86% upside. 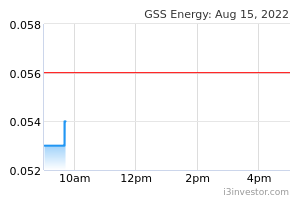 GSS ENERGY LIMITED (SGX:41F)'s precision engineering (PE) segment registered healthy growth despite the ongoing US-China trade war. This is as the bulk of its revenue is mainly generated from its Batam factory, which is undergoing expansion due to increased orders from new and existing customers in FY19. The company will also be involved in the manufacturing and assembling for both gasoline and electric models in the 125cc and 150cc categories, and three-wheeler (“tuk-tuk”) in South-East Asian markets, India, and Taiwan of the iconic ISOMOTO model. GSS Energy is also in talks to secure large sized contracts on the consumer electronics front, which is likely to boost earnings from 2H19 onwards and into FY20. All in all, we expect its PE segment to continue to grow at 10-15% for FY19F. This segment has suffered many setbacks and delays throughout FY18. However, we remain optimistic that this business will likely bear fruit in 2H19F as it is likely to monetize the two gas wells it discovered in FY18. GSS Energy is also re-entering a few old shallow wells, and the results of these drilling will likely be known by end-1H19. In addition, management is exploring the option of farming out part of the oil field, which will enable it to get a lump sum cash injection and also peg a value to its oil & gas assets, which are not reflected in its market cap valuation. Key risks are decrease in oil prices, trade war worsening, and delay in monetisation of oil & gas assets. RHB is the only broker covering this counter.